Lorna Simpson, Rodeo Caldonia, 1986, photographic print, 8 x 10". From left: Alva Rogers, Sandye Wilson, Candace Hamilton, Derin Young, Lisa Jones. 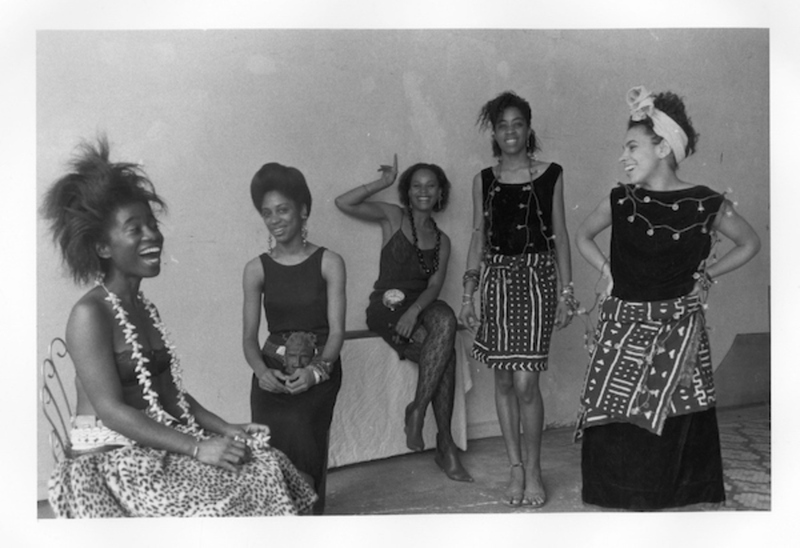 In the mid 1980s, a group of about seventeen women came together in the regal Brooklyn neighborhood of Fort Greene to create an avant-garde theater troupe named for an old B. B. King song and to needle the playwright Ntozake Shange, who had defected to Texas. The founding members of the Rodeo Caldonia High-Fidelity Performance Theatre described themselves as young, gifted, and black—but also weird, lonely, and in search of like souls, remembers the writer Lisa Jones, who penned the only two plays that ever made it into the collective’s repertoire. The work of Rodeo Caldonia was often outrageous, but it was also short lived. Just as they set themselves against other nearby artistic enclaves at the time, they acknowledged but broke away from the activism of their elders in the civil-rights and black-power movements. Their sense of entitlement was stronger but more complicated.